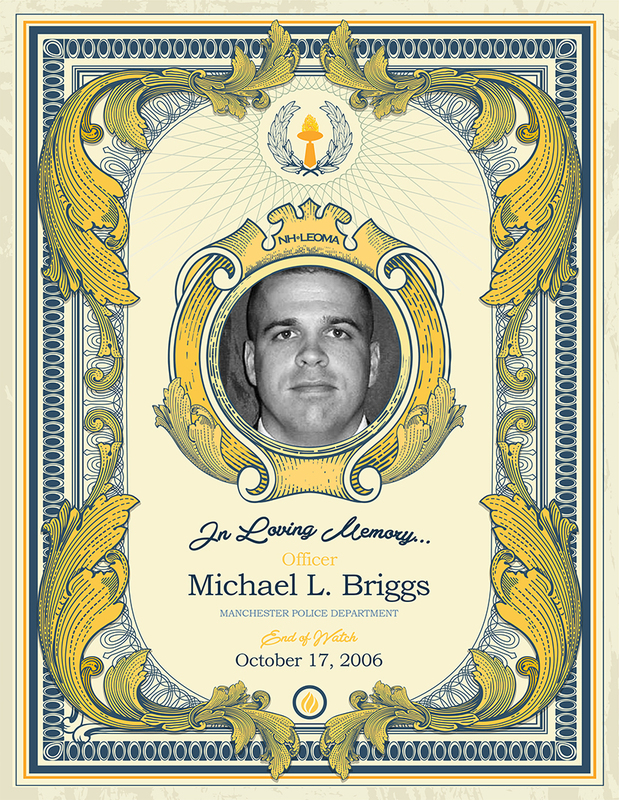 Officer Michael L. Briggs was born on May 2, 1971 in Manchester, New Hampshire. Upon graduating from Pembroke Academy he served four years in the United States Marine Corps. Briggs worked as a Correctional Officer with the Hillsborough County Department of Correction from 1995 until 2001. From 1995 until 1998 Briggs also worked as a part-time Police Officer for the Epsom Police Department. He was hired by Manchester Police Department in 2001. Briggs and others were honored with the New Hampshire Hero Awards for helping 19 people escape a burning apartment building on July 25, 2004. On the morning of October 16, 2006, Officer Briggs was shot while attempting to speak with two individuals regarding reports of gunfire during a domestic disturbance on Lake Avenue. Briggs, 35, died on October 17, 2006. Briggs was once a certified Fire Fighter, a member of the New Hampshire Police Association and a member of the Honor Guard for HCDC and then Manchester Police. As a resident of Concord, he enjoyed coaching local youth sports. Officer Briggs is survived by his wife, Laura, their two sons Brian and Mitchell, his parents, one brother and three sisters.